What does “queer” mean? Why should you ask about people’s pronouns? How might masculinity studies help explain school shootings? How can we bring gender, feminist, and queer studies into our everyday lives, including activism and movements for social change? Puget Sound’s Gender and Queer Studies (GQS) Program explores interdisciplinary ideas and theories that apply across the university, from biology, psychology, and education to sociology, anthropology, and English. We study topics like masculinity, the history of feminisms, the pay gap, sexual violence, body image, asexuality, activism, and intersex and transgender issues. 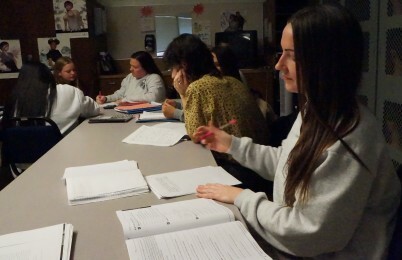 GQS classes build strong analytical, writing, and communication skills—all highly relevant to careers and engaged citizenship. The student-run and student-edited publication Wetlands publishes student creative and non-fiction work about gender and sexuality. Students also organize their own “Quoffee and Quonversation” discussion group on queer and gender theory. 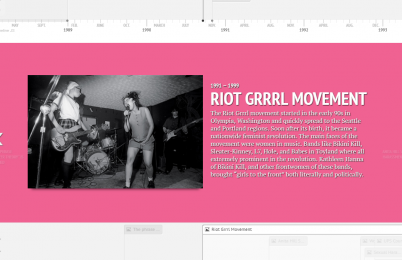 During Spring 2018, students in GQS 201 (An Introduction to Gender, Queer, and Feminist Studies) created interactive historical timelines of the movement and our campus program.